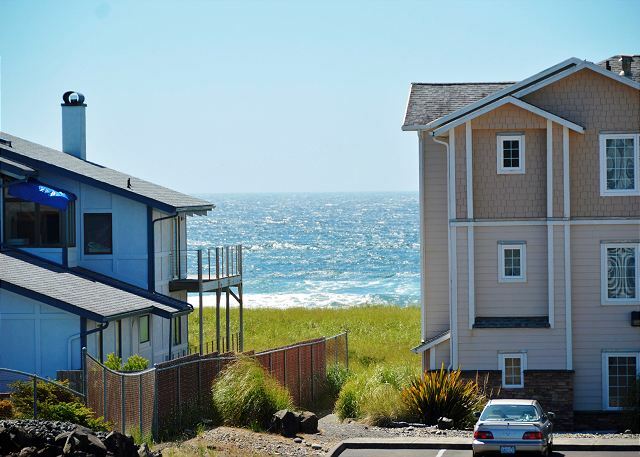 Top floor corner beach condo with sweeping view of area and ocean beyond. "Welcome to our home away from home. We hope you have a wonderful visit and have tried to provide everything you'll need to make your stay as comfortable as possible. The weather here in Westport is kinda like a box of chocolates, you never know for sure what type you'll get, but iit is all delightful. Storm waves bring new treasures to the shore and sunshine warms the soul. Dancing clouds enhance the blue sky while gray misty days make us just want to curl up with a good book and watch the waves from the living room. We fell in love with this area the first time we visited many years ago and are happy we can share our home with you." In addition to all the comforts of home in your beach vacation condo, your stay with us includes total access to all the amenities our property has to offer. This includes a large hot tub, heated seasonal swimming pool, barbeque grills, and well equipped exercise center at the clubhouse. There is also a large grassy play-field perfect for the kids, a basketball court, putting green, horseshoe pits, and playground for the little ones. Sports equipment is available for checkout at our Front Desk. Soak up the sunshine and relax on one of the many park benches and watch the activities. No worries, its time to have fun at the beach! The condo was beautiful and stocked with everything we needed for a wonderful weekend. The only issue we encountered was the refridgerator. The door was sprung and would not close completely. great place to stay lots to do. 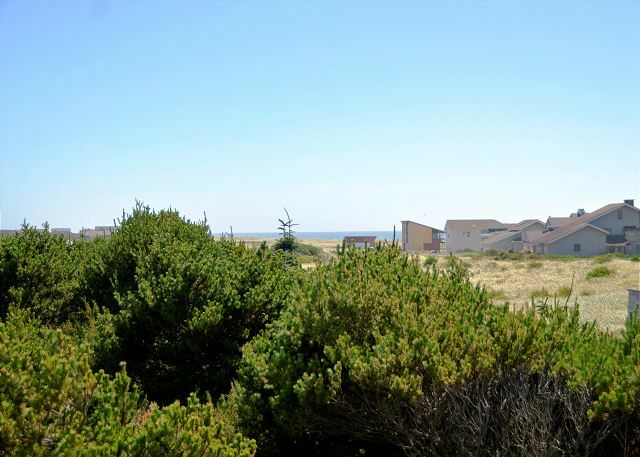 hot tub, pool, exercise room, full kitchens bathrooms and lots more plus beaches to play on visit the light house board walk to walk, run, or bike on that takes you to the marina check out the gift shops, restaurants or if you would like to go crabbing or fishing in the marina go to a local charter businesses for the licenses. or take a charter boat and fish in the ocean. this is a great place to stay and we will be back!! Our family enjoyed the property. Everything was nice and clean. The windows were great for letting a nice cool breeze through. Will definitely stay in this same condo in the future. Kitchen was stocked fairly well with what we needed. We appreciate the kind words and are happy to hear your trip to the beach was enjoyable. We went to Westport with our son and his family for a fun weekend at the ocean. The condo was wonderful! The granddaughters had a great time and loved playing the games that were supplied in the condo too. Plus it was so easy to get to the beach or to a fun place to eat like the winery! It was fun and relaxing, just what we wanted!! Fantastic home away from home with excellent location. Lovely, spacious, private condo with sea/sky vista in well-maintained complex...gorgeous natural surroundings with short walk to pristine beach. Very clean, comfy beds, and three screens with cable. Quiet balcony with comfy reading chairs/tables. Kitchen cooking supplies poor quality and couch worn down, but wouldn't stop us from booking again. Wish pool was indoors but at least condo has huge jetted tub. Town minutes' drive away with quality fish and chips and BBQ restaurants (candy/ice-cream stores were kid faves). Maritime Museum worth the visit. Super cool light house and paved trail above and along ocean shore. Manager very accommodating...thank you! Another great stay at Vacations by the Sea! The condo had everything we needed including an unexpected ocean view. Our Apartment was wonderful! A peak a boo view, clean, nicely appointed so we could cook. Close to the beach! Very nice and relaxing! Our apartment was beautiful, and exceptionally clean. It had any kitchen item we needed. It also had a beautiful view of the ocean from the deck. The building also had an elevator with a shopping cart so we didn't have to carry all our luggage up the stairs, as we were on the 3rd floor. I would definitely recommend this to anyone and will also be coming back to this same apartment! Westport by the Sea was fantastic. Loved the location, the beaches, and the opportunity to bike or walk. It was a very nice weekend. 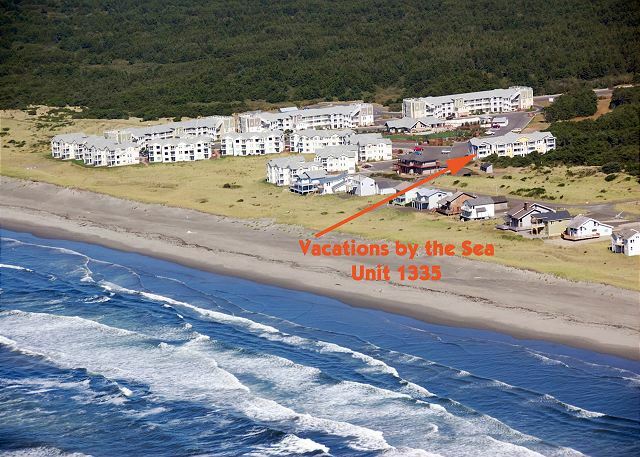 Unit 1335 is large and located in a quiet corner of the property. The interior is nicely decorated and well kept. We really enjoyed our short stay - everything was clean and lovely and the beds in this unit are especially comfortable. Thanks! My kids and I had a great time in Westport. The property was clean and well maintained. We had spent a few days in the hustle and bustle of Seattle before we came to Westport. We spent our time walking the beach, checking out the town, visiting the lighthouse and Westport Winery. it was nice; I would come back again, wonderful experience. Condo was well appointed everything was as described.I will definitely revisit the area and use Vacations by the Sea. We were able to get this unit within 30 days for a family vacation. Trisha was extremely helpful in getting us setup for this unit. The location and unit was perfect. The unit and the property was extremely clean and well taken care of. we would definitely come here again. The property was clean, comfortable and lovely. Great place to bring in the new year! We had a wonderful stay. One night is not enough! Quick trip to coast made even better ! Lovely. Just wish we had warmer weather ands longer stay.